→X Theme 3.0 ~ The Most Incredible WordPress Theme! The new version of X comes with 15 extensions. This is definitely going to help transform your blog into a complete business tool without you overloading it with additional third party plugins that have their own speed and security concerns. You don’t have to buy a single theme that has nothing in addition for free. X theme is the complete package and the last WordPress Theme you may ever have to buy with crushingly awesome free extensions. Here is a complete list of these extensions! Why X Theme 3.0 is awesome! Now, I don’t want you to jump on some excitement because of the exhaustive list of free extensions. What’s more important is how required are these extensions and how can they help boost your business. The first point is these are premium plugins that will normally cost money if you were to get them on separate accounts. Investing on X Theme therefore helps you save a lot of money. Secondly, having them as in-build extensions puts you on an extensively better side. You will not have to worry about some 3rd party plugins, security, site loading speed and compatibility. If you’ve been blogging for sometime now, you know these are some areas that trigger a lot of attention when it comes to adding functionality and expanding your WordPress blog. But how is x theme 3.0 awesome? One of the things that caught my attention with version 3.0 is the Content Dock free extension. This tool enables you to intelligently place marketing materials in front of your readers without getting them annoyed. You will be able to use this tool to smartly slide information (text, images, web forms, etc) into the page as the readers scrolls the page. This is not like most of the annoying popups we have jumping on our faces today on most blogs when we are reading some exciting piece of material. Check out these demos so you can appreciate what I’m talking about. If you are MailChimp user, the MailChimp free extension is going to get you well seduced. This will help you to effortlessly create professional and amazing web forms and link them to your MailChimp lists with simple clicks. One of the main problems most bloggers face while trying to build a list is creating professional web forms. With X Theme 3.0, this is no longer an issue. You will not have to deal with complex web form wizards with limited and boring designs. Do you need to customize your default WordPress login Window? My friend Ashley Faulkes published this post on his blog where he talked about some paid and free plugins to customize your WordPress login page. With X theme 3.0, you don’t need these plugins. The White Label extension helps you create branded login pages and much more. Live chat on your blog – easy integration! One other thing I saw that swapped me off was Olark Live Chat Integration. All you need is your Site ID to add the Olark live chat to your blog. Olark is one of the most used flexible live chat software that allows website owners to interact with visitors without taking them through some cumbersome account creating procedure. Dealing with your 404 Error pages! Have you been able to customize your 404 error page? This is the page your visitors see when the requested url is not found. This will always happen as your blog grows so there is need to show your visitors something that’s more under your control than what your web host creates. X theme 3.0’s Custom 404 extension will help redirect your 404 errors to any page you have full control over. As a matter of fact, you are the mater here. There is still more awesomeness! Let me know what you think about x theme 3.0 and all these exceptional extensions that are absolutely free. Share your thoughts in the comment box below. Thank you for updating us X Theme Version 3.0. With all these great features, this theme is going to be a killer theme for any purpose you can talk of. I hope the developer would continue to add more features to the theme in the future. I wish i could use this in any of my sites. Overall: Great Review as usual. This is really a wonderful review of X-theme 3.0. Looks like some thing one can put eyes on. The features you have explained here all fits into what a smart blogger would like to have. Yea, I was just looking at the price, looks pretty cheap with all the extensions and all that. May be this is one of those marketing strategy which is a good thing since there is already competition in the market. Once again, it’s really a wonderful review. I wonder how you pull these things off Enstine. Your reviews are always great and I know too well that they all convert. How are you enjoying your day! Well, Enstine another great review and this time you rocked reviewing X Theme 3.0. Initially I just wondered what its all about, then I started reading and till the end of the post I had every possible knowledge about X Theme 3.0, its features and specialties. I think, it will work great. Wonderful review indeed! The new updated version is so well with lots of features. I wish I could have this one. Recently, I had updated my theme otherwise I would have this. Thank you so much again for updating about the latest version of x-theme. To be honest, selecting a theme is one of the crucial tasks before starting a blog and this thing is not limited to blog start-ups only. You may have to change your themes according to your readers point of view. I guess X-Theme is one of the best themes to select for a wordpress based blog. 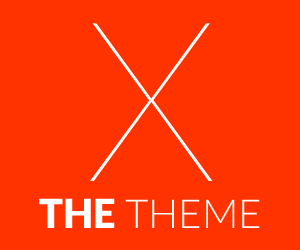 Thanks for sharing great update about X- themes i had one theme but was not able to found a suitable niche for it. But i will surely use that some where it will attract most readers and make them permanent resident of my blog as a reader. Never heard about X Theme before but after reading this review it is looking promising. Now thinking of trying it. Akshat Verma recently posted…How to Find a Good WordPress Theme for your Blog? Is this theme parallax scrolling supported wordpress theme. The theme looks simple and rich with features. But I was just curious! The review Of this theme is really good as the theme has good design and work faster. I like the layout and the icon they have used. But my fav. theme is thesis using MD3 it has great layout the size with good font and inbuilt function. It’s a wonderful theme, nice and beautiful layout, but I guess it’s a bit late. I recently moved my blog wo wordpress, I’ve searched for themes that will suit my blog, the one on my blog for temporary, I just bought ‘goodnews’ wordpress theme, and I’ll lunch it by january on my blog. It’s a wonderful theme here though, and I think every blogger using the wordpress blogging platform will love it. This looks quite awesome. You have posted a great reviews. I never heard about theme before, most of the bloggers are only talking about Thesis and Studiopress, but very fewer people like you discussed this theme, I think it is looking fine if they promote it well, thanks for sharing the information, see you soon. This is first time i heard about X- themes. To read your article i thought it is promising. Now i must try it . Thanks for your informative article.